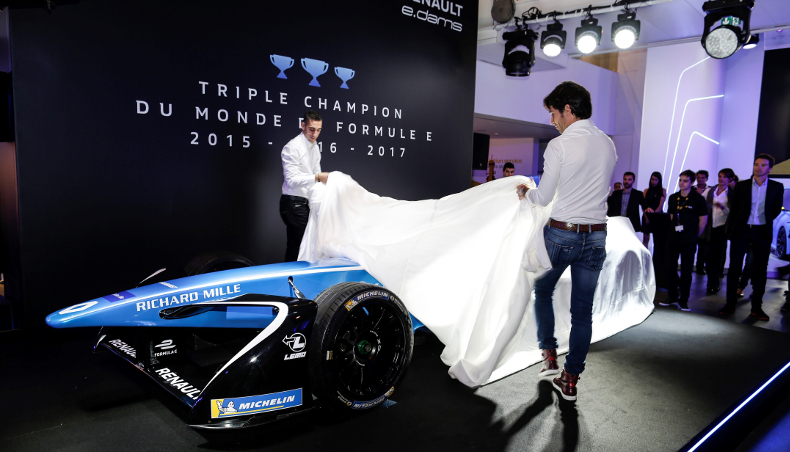 Renault-e.dams’ management and drivers were at L’Atelier Renault on the Champs Elysées, Paris, yesterday (Monday) to celebrate their third straight Formula E Teams’ title. 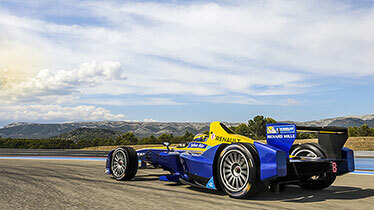 Renault e.dams, three Formula E Teams’ titles from three! 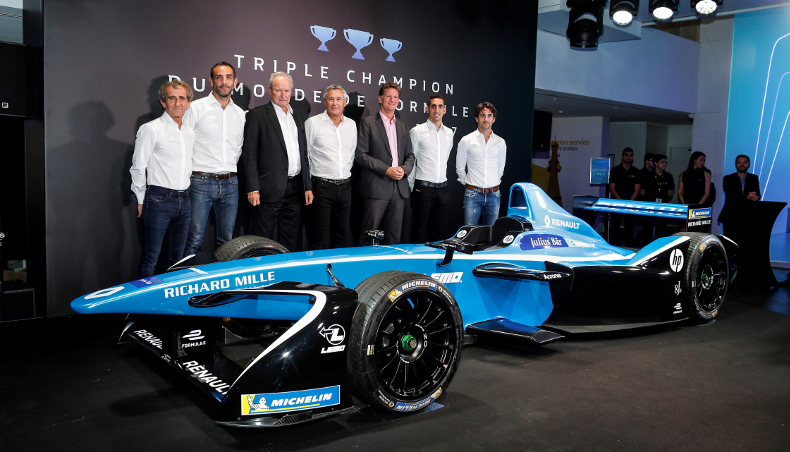 The outfit’s co-owners Alain Prost and Jean-Paul Driot were joined by Renault Sport Racing’s President and General Manager Jérôme Stoll and Cyril Abiteboul, plus Renault’s EV Programme Director Gilles Normand and drivers Sébastien Buemi and Nicolas Prost to officially mark the squad’s hat-trick of Teams’ crowns. 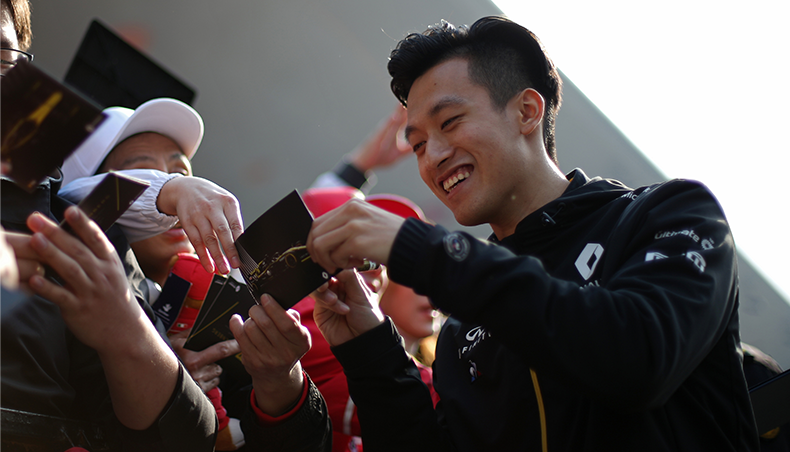 I would like to thank the Renault e.dams team for bringing us, once again, an unforgettable show to our city-centers. 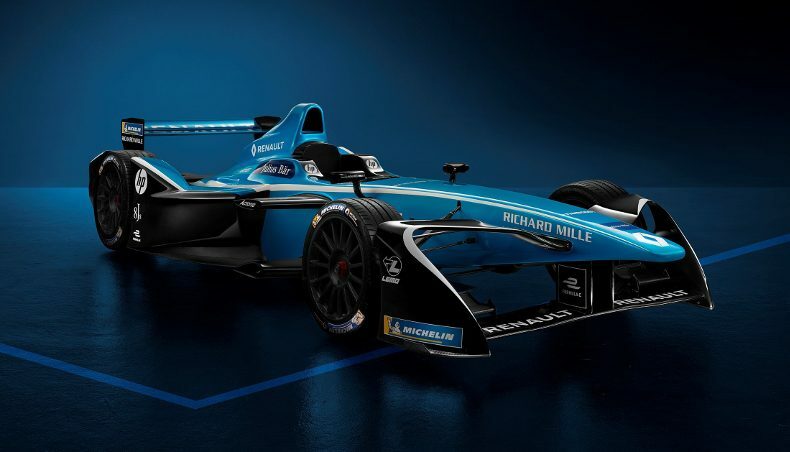 Silent, zero emissions, Formula E racing reminds us first and foremost that electric vehicles offer real driving pleasure. 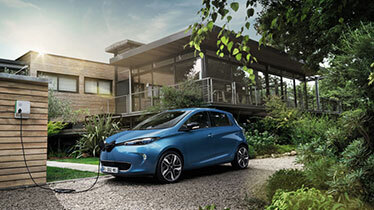 This new title confirms Renault's leadership in electric technology both on the track and on the road. 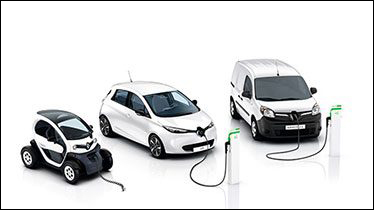 Indeed, in Europe, more than one in four electric vehicles is a Renault and the ZOE is at the top of this fast-growing segment." 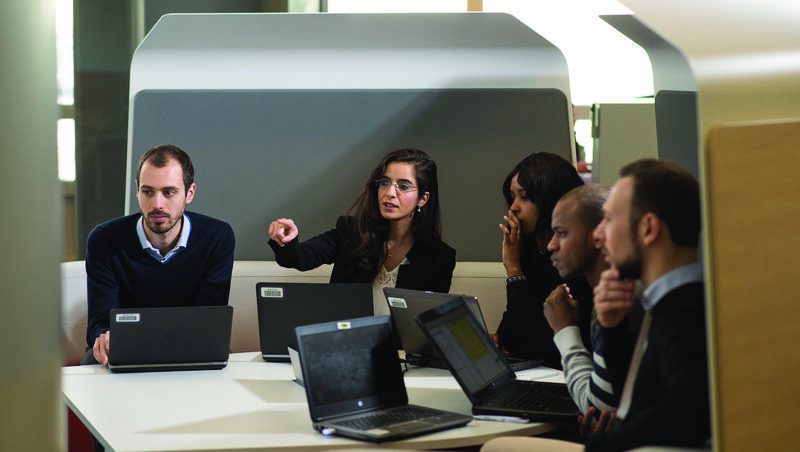 Join us in December for the beginning of the new FE season !